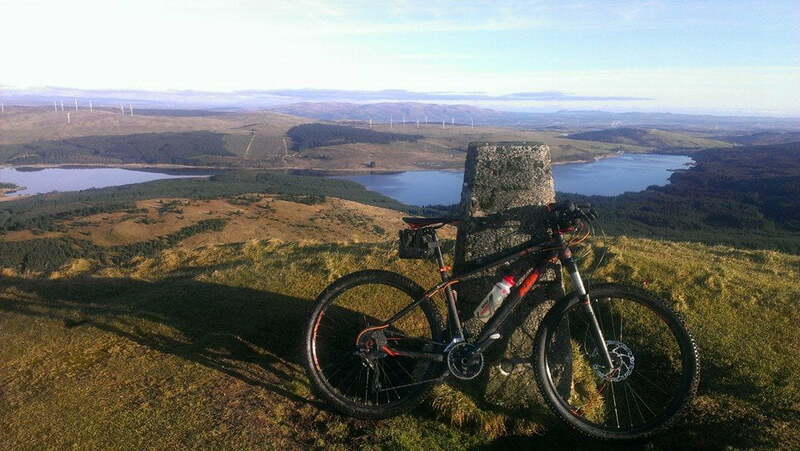 The Carron Valley area has plenty to offer locals and visitors alike. Opportunities for outdoor activities abound, such as local walks at The Carron Reservoir and North Third Crags, purpose built mountain biking trails and trout fishing on The Carron Reservoir, North Third Reservoir and Swanswater Fishery. There is plenty of historical interest in the area too – for more details see the Carron Valley Heritage and Historical Society website. The Battle of Bannockburn took place just outside our area, and there is a new Heritage Centre in Bannockburn commemorating this and giving more information. Also of interest are the remains of Sir John de Graham’s Castle – a fine example of a medieval “Motte and Bailey”, the outline of which can still be clearly seen. Sir John de Graham was a friend and loyal supporter of William Wallace, who died fighting alongside him at the Battle of Falkirk in 1298. The castle is situated near to the Carron Reservoir, just off the single track road which goes from the West end of the reservoir down to Cambusbarron. Of more recent historical interest is Howietown Fishery. Established in 1881, this is one of the oldest fish farms in Scotland (and really the world! ), and was where much of the early pioneering work in fish farming was carried out. It still operates as a commercial hatchery and fish farm today, under the management of Stirling University. Recently buit, but also looking back to the past is Duncarron Medieval Village, at the East end of the Carron Reservoir. Built by the Clanranald Trust, Duncarron is a full-scale replica of an early fortified village, typically the residence of The Clan Chief and his extended family.